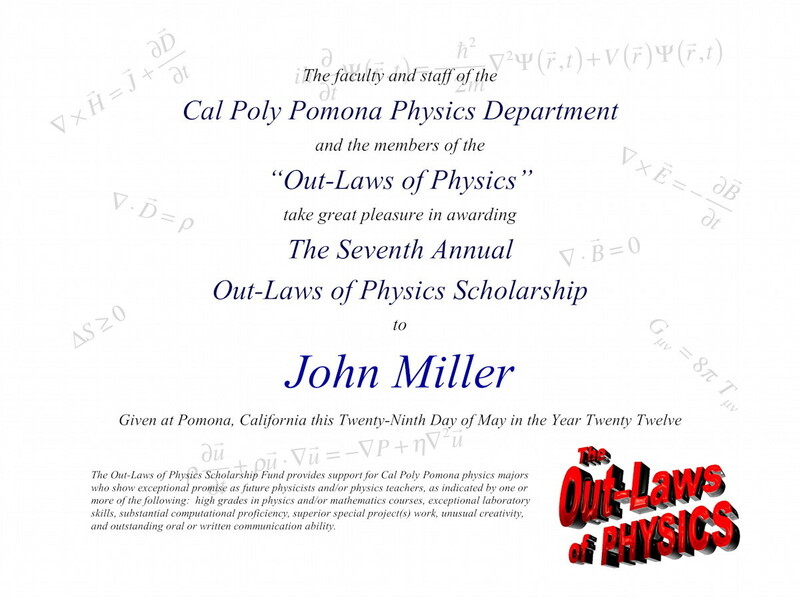 Junior physics major John Miller was awarded the seventh Out-Laws of Physics Scholarship. their best wishes to him for a productive and satisfying career and future life. 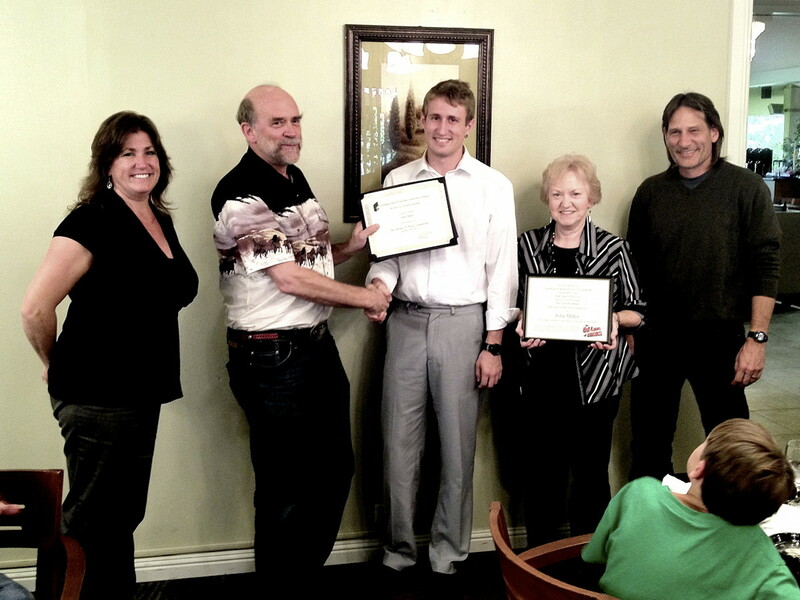 2012 Out-Laws of Physics Scholarship winner John Miller (center) with, from left to right, his mother Jill, the band's John (Slo) Mallinckrodt and Jolene (Throte) Houser, and and father John.